Greece is still hurting after their financial meltdown a few years ago. The EU stepped in to provide the country with bailout packages but at serious cost to the populace. The country is still recovering from the crisis and attempting to claw back their financial stability. It is with this in mind that a new bill will be debated this week that could potentially create thousands of new jobs and provide an immense revenue stream for the state. 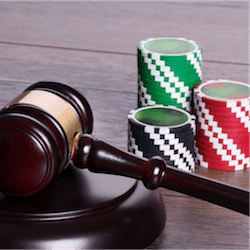 Even though there is already state sanctioned legal online gaming available in the country, poor regulation and enforcement means that the illegal gambling market is very much alive and well in the country. Estimates vary but illegal gambling potentially siphons more than €500 million out of the country every year. Currently gambling is managed by the private company OPAP. It started life as a state run entity but in 2013 the entity was privatized. CEO Kamil Ziegler pushed hard for the re-evaluation and re-regulation of the gaming industry in Greece. OPAP already pumps around €780 million into the Greek economy in the form of licensing fees but estimates say that with re-regulations the state coffers could receive as much as €1 billion in additional tax revenue alone with a more regulated gaming industry. Yanis Varoufakis, finance minister in Greece, brought about the push for a more well regulated gaming industry. The country is attempting to make the best use of all available revenue sources that can help prop up the Greek economy. It is hoped that this new regulatory push would also help to solve the Video Lottery Terminal issues that have plagued the state. Back in 2012, OPAP was given exclusive rights to provide more than 30 000 video terminals in bars and shops around the country. OPAP was given exclusive rights on these terminals but soon enough anti-gambling campaigners as well as land based casino operators were up in arms and fighting the move at every turn. The European Commission has reviewed and approved the move but as of today, zero terminals have been installed with no plans in the horizon to roll these devices out. Meanwhile illegal and black market gambling services are still sucking the life from the industry. Hopefully for the country, new regulations will be introduced soon so that both the people and the state can benefit from a steady revenue stream for the state coffers.